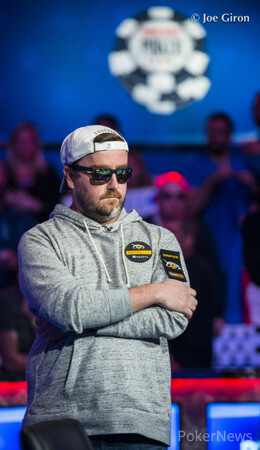 Hand #25: Action folded all the way around to Scott Blumstein in the small blind, and he thought it over for a bit before giving the short stack Antoine Saout a walk in the big blind. 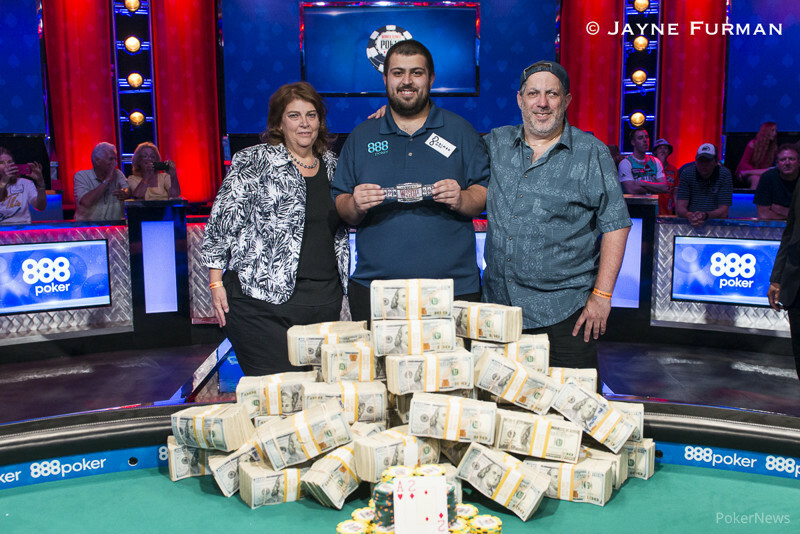 Hand #26: John Hesp raised to 2 million from the cutoff, and Blumstein reraised to 5.2 million on the button. The blinds ducked out of the way, and Hesp quickly four-bet it to 20 million. Blumstein checked his hole cards a few times before folding, and the two exchanged in a bit of playful banter, with Hesp trying to fist bump Blumstein at the end. Blumstein leaned away, and Hesp jokingly went for a punch. Both players laughed it off as they moved on to the next hand. Hand #27: Action folded around to Saout on the button, and he moved all in for his final 9.7 million. Jack Sinclair quickly called in the big blind, and the cards were tabled. Saout would need some help to survive, and he got it right away, as the flop came down , giving him trip tens. Sinclair would need running kings now to win the hand, and the on the turn sealed the double up for the former November Niner. Sinclair caught the on the river to rub some salt in the wound, as Saout doubled to over 20 million.